Want $1,000 for college? CheckVideo can help make that happen! 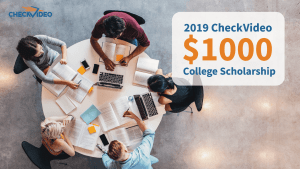 If you are currently enrolled in college (or headed there in 2019-20 school year) and want to win a $1,000 scholarship to help cover expenses, consider entering the CheckVideo $1,000 Scholarship contest. CheckVideo will award a $1,000 scholarship to one highly motivated student who can thoughtfully respond to the prompt below. Please tell us in 800 words or less how you think video technology will change in the next 20 years and what the impact on our lives will be. Fill out the form below, including a link to a Google Doc answering the prompt above. Ensure your Google Docs file is saved in the format (yourname)-(dob)-2019 CheckVideo $1,000 College Scholarship Submission. A member of the CheckVideo team will email you to confirm your mailing address and send you a check or Visa gift card in the mail for $1,000. We will announce the winners on the CheckVideo blog. All submissions must be received by midnight EST on October 28th, 2019. You must be a graduating senior in high school or a freshman, sophomore, or junior in college or trade school and at least 16 years of age in one of the 50 states of the USA. 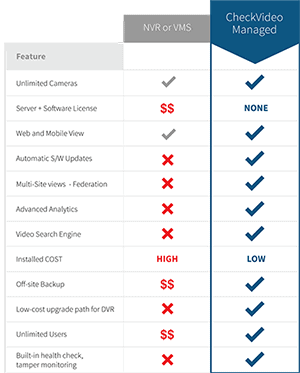 Each entrant affirms that they have met all eligibility requirements and releases their entry to be used for any purpose by CheckVideo. *Disclaimer: By submitting you are giving CheckVideo the right to use your entry for any purpose. CheckVideo may also post your name and entry on our website. Your entry may be reproduced for any format under CheckVideo or one of its affiliates free of any encumbrances.